Have you ever been waiting up late for your teenager to come home, and wondered if they really went where they said they’d be going? These days, your kids are always connected to their smartphones, so if they were to get into trouble with a car breaking down or getting lost, they’d probably be able to get in touch with you. But if they’re ever driving without a way to contact you, or if they’re driving around somewhere that they shouldn’t be, you might never know. Instead of worrying, why not install a simple device in your teen’s car that will tell you where your teen is at all times? NYCONN Security Systems has just such a solution – a simple, easy-to-use GPS vehicle tracker. Instead of worrying what your teen is up to, check in on him or her and make sure they are driving where they are supposed to be. 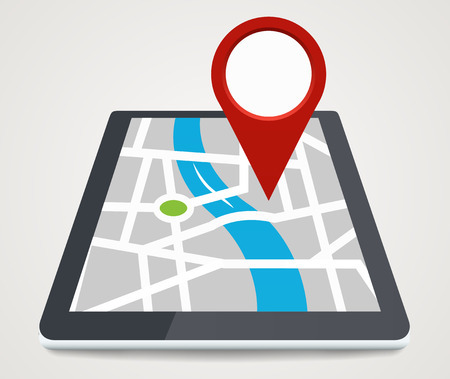 NYCONN’s GPS tracking system allows you to instantly view the real-time location of your vehicle. You can click to locate their car or set up periodic location reporting that will tell you whether the car is on, what speed it’s going and other information about the vehicle’s whereabouts. You’ll receive email notifications for over-speed violations and whenever the car enters or leaves areas you define. You can even set up notifications for when the ignition is turned on and off, and you can access 60 days of historic GPS locations for the vehicle to see if a suspicious location is a one-time destination or somewhere frequently traveled to by your teen. In the event of an emergency, having this real-time access to the car’s location can make finding your teen all the more easy, but this technology also allows you to make sure that your son or daughter is being honest with you when they take the car out for a drive. NYCONN’s GPS tracking device can even be a good way to encourage your child to practice safe driving. If they know you will receive a notification for driving at excess speeds, they’ll be more likely to stick to the speed limit. If they know you can see where the car is going, they’ll stick to only the route they’re supposed to be driving. This system isn’t only useful for young drivers. If you have elderly family members who can still drive, but are prone to getting lost, install a NYCONN GPS tracker. This can allow you to check in on your parents or grandparents to make sure they didn’t have any trouble getting to the grocery store or drive outside of their normal stops. With many people concerned about dementia in our parents as they age, keeping tabs on their car’s location can help provide you with peace of mind that your elderly loved ones are safe at all times. A GPS tracking system can help keep you and your family more safe, giving you a way to monitor the safe driving habits and responsibility of the new drivers in your home or an option to keep an eye on elderly family members without having to drive them around. For more information on the GPS vehicle tracking devices available from NYCONN and to find out how you can install a GPS vehicle tracker in your car, call us today at 800-783-5004.